How to Fix Corrupt Outlook Database? How to Fix Corrupt Outlook Database PST Files? After the scanning od the PST File is done , user has the option to preview emails and other elements of the PST file that are recovered by the software. 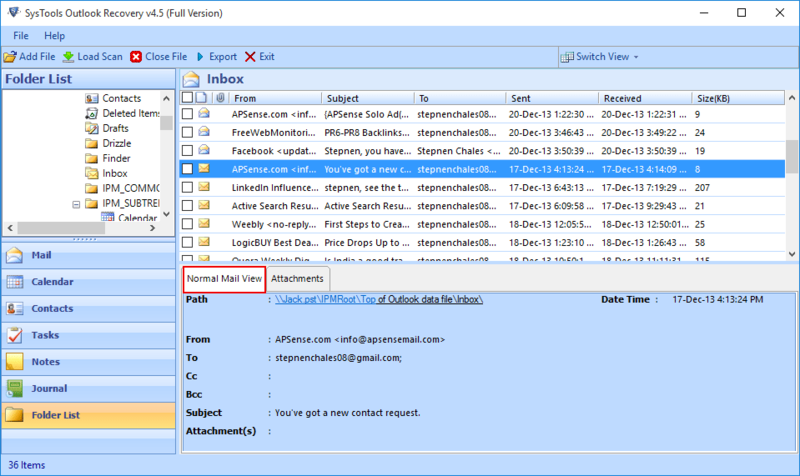 The tool is able to restore all the permanently deleted emails of MS Outlook along with the attachments in them. The software will recover all the data items like Emails , contacts, tasks , journals and calendars that are within the selected PST file without making any changes to the folder structure. 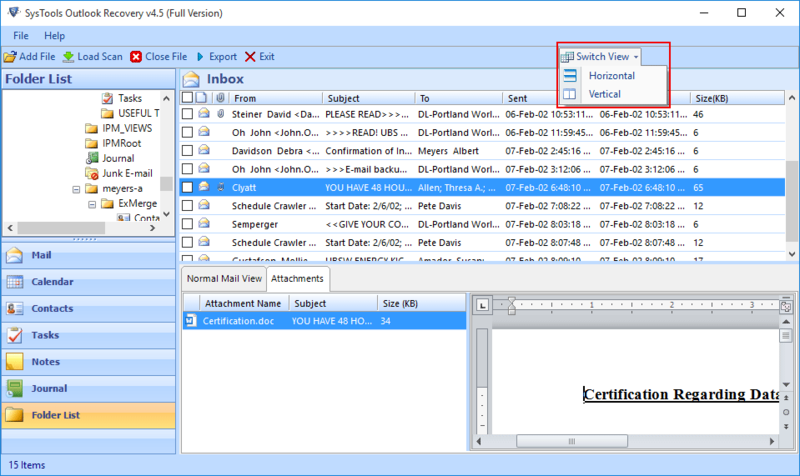 You can recover the emails for a specific date range using the date filter in the software which allows you to export selected emails for a date range. If the recovered PST File exceeds the size limit , then the size can be reduced by splitting the PST File intp smaller parts by size. The software allows you to export selected items to the recovered PST File thus saving you from recovering the entire unnecessary data. Outlook and PST Files: A large number of business houses and organizations are today using Microsoft Outlook as their messaging platform for email exchanges. When you make use of Microsoft Outlook as your email management application, then PST files, which are the chief data storage entities in Outlook, achieve great significance as all your crucial email information is contained in these files. PST actually refers to the ‘Personal Storage Table’ files, which store copies of Outlook email messages, events, to-do lists, contacts, calendars, tasks, journals, notes and other mailbox elements. 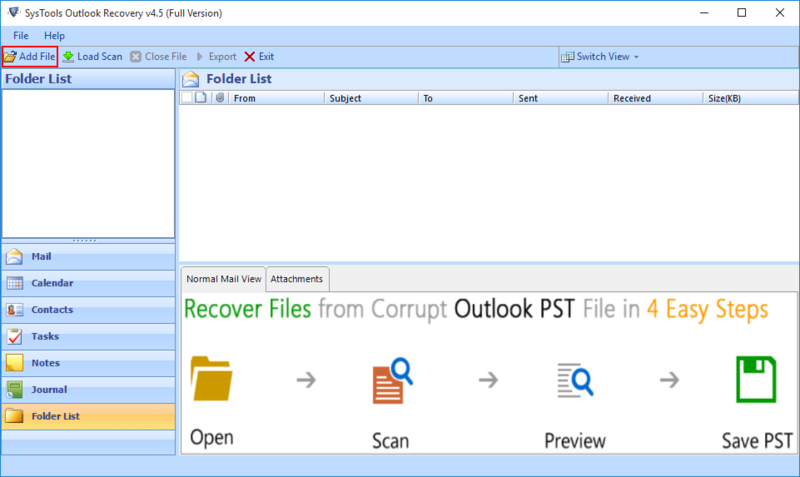 Outlook Corruption and Email Data Loss: It is quite common that due to Outlook corruption, you can lose all your Outlook mailbox data stored in PST files. As, it is a very well known fact about computer system, that when you benefit from some computer application, you must also be ready to face the consequences after its corruption, which is still a very common occurrence. Same is the case with Outlook also. Often, your PST files get corrupted and then you land into a grave data loss situation. Consequences of Outlook Corruption and Email Data Inaccessibility: After being habitual to work in Outlook email environment, your dependence on Outlook mails is quite understandable. Now, when there is data loss and the loss of this email managing facility, your inconvenience is again understandable. Your work or business suffers serious harm and you face severe complications in proper execution of email dependant operations because of this absence of email messages being properly accessible. This can further affect your entire official processes and can escalate your working time also. Some Most Common Reasons of Outlook Corruption: Outlook corruption can result from conscious or mistaken deletion of mail messages. This data damage can also be a result of the corruption in the Server Exchange system. Sometimes, exceeding the maximum storage limit which is 2GB, corruption takes place. And, more often than not, virus attacks account for this damage. How to Fix Corrupt Outlook Database Files? The process to fix Outlook PST files is a remedy of the above mentioned problem. This is where the products to fix Outlook errors come into picture and achieve great significance. Your only effort is to find a genuine recovery tool for easily recovering Outlook mail messages and other database items like contacts, tasks etc. 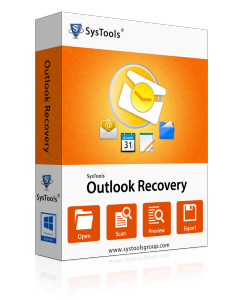 One such authentic output-driven tool is Outlook Recovery software. 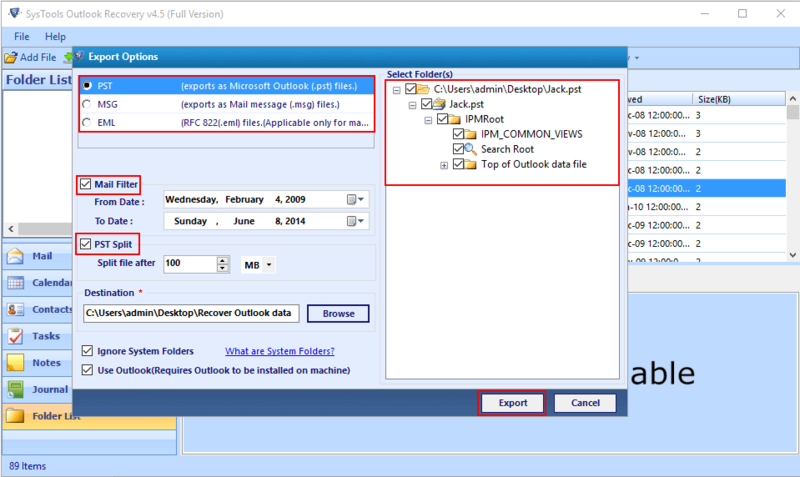 Using this tool, you can easily fix corrupt Outlook database files. You can even fix Outlook contacts files and other database files easily with the help of this comprehensive software solution. Step 4:Select the export options for the PST File. What are the formats of the PST file that can be recovered using Outlook Recovery Tool? The software can be used to recover both the ANSI as well as UNICODE format PST File. What is the format of the PST file after recovery? The recovered PST File will be of the UNICODE format and it can be opened in Outlook 2003 and above versions. Can I use the tool to recover a deleted PST File? No , Outlook Recovery Tool cannot be used to recover a deleted PST File. Can permanently deleted emails be recovered using the Outlook Recovery Tool? Yes, using the Advanced Scan option on the tool , you will be able to recover the permanently deleted emails from the PST file. The Outlook Recovery Tool worked incredibly for me as I was able to recover all my deleted emails from the PST File in a very less time. I was unable to access my PST File and I had some important emails that i needed to recover. 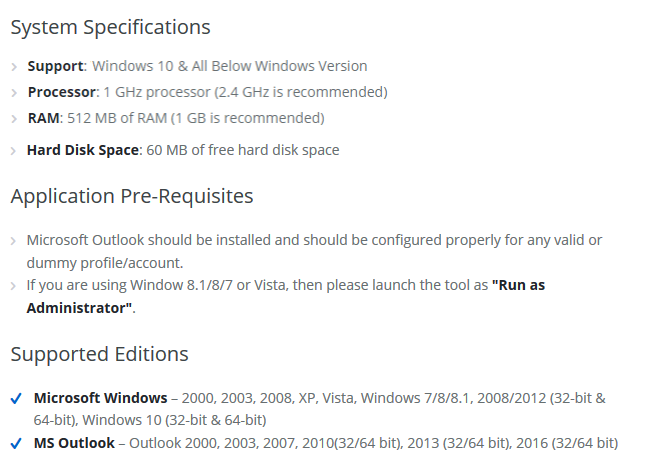 The Outlook Recovery tool not only recovered those emails but also provided me options to secure them for future. It is a great and easy to use tool.